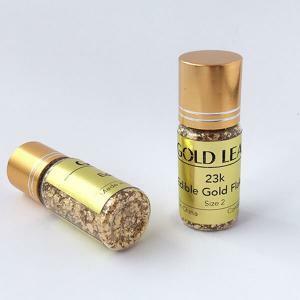 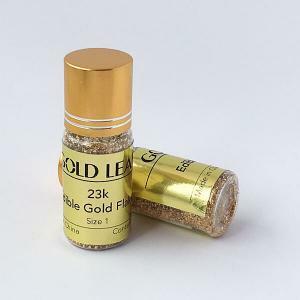 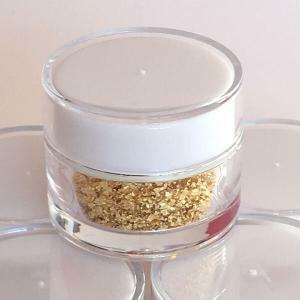 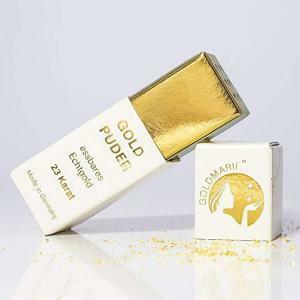 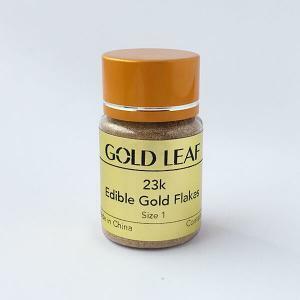 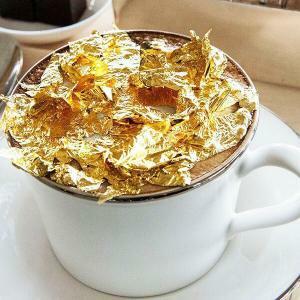 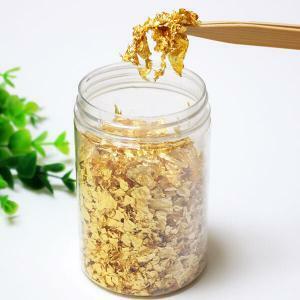 Edible and cosmetics gold flakes available in 23k genuine gold. 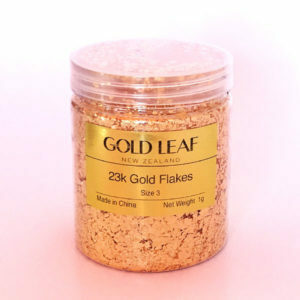 Fine (size 1) and gross (size 2) packed in small jars starting at 50mg up to 1g for home users and in large cans/boxes for quantity 10g and above. 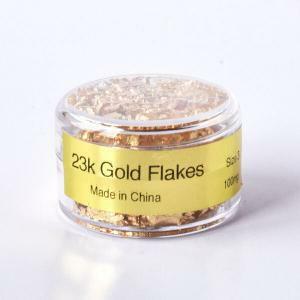 High quality and certified food and cosmetics standard. 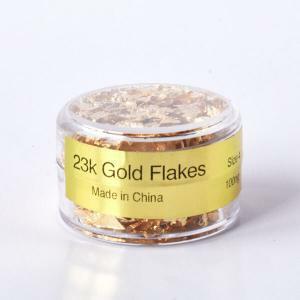 Best choice for Honey makes, Chocolate makers, Cakes shops and Cosmetics product manufacturers.